Bedrooms are set up as one queen, one full, two twins and a full size futon in the living room. Enjoy the serenity of Kezar lake 'one of the three most beautiful lakes in the world.' Nine miles long and one mile long it sits in the foothills of the White Mountains. 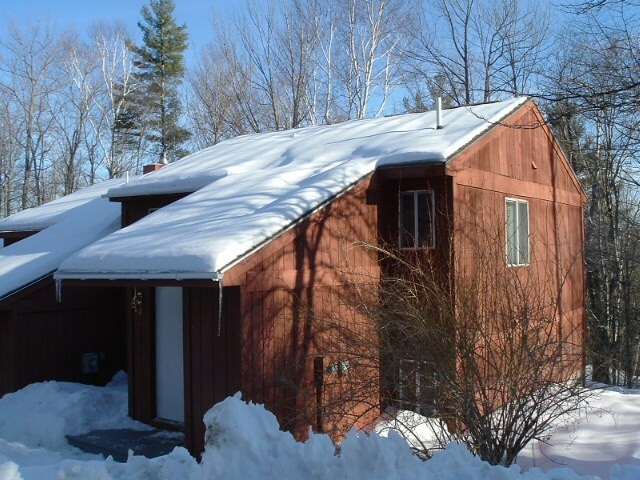 Our condo is located 3 miles from the public boat launch/ beach on the upper bay of Kezar Lake. You may swim in one of the many lakes or secluded ponds within minutes of the condo. Our condo also abutts the White Mountain National Forest. Hiking, biking, horseback riding and golfing all within minutes. Return to your childhood , visit the Drive In theatre in nearby Bridgton. Visit the Freburg Fair in the fall. Snowmobile from the door,ITS 80, ride all day, park outside the door and return to soak in the hot tub beneath the stars. Enjoy free use of the library,fireplace room, game room with ping pong, pinball, air hockey in the next door Inn. Try your hand at prospecting Vist the mineral site just a few miles away where gem quality amythest have been found.